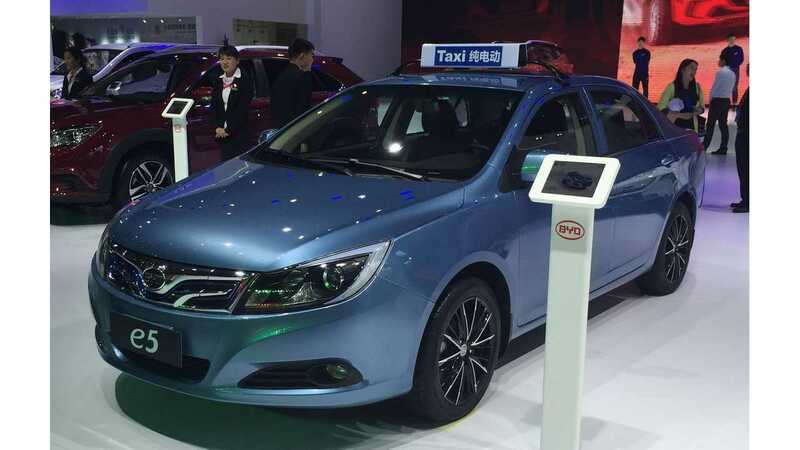 The 2015 Shanghai Auto Show is marked by plug-ins, mostly concepts, but BYD surprised us with a whole lineup of plug-in cars. 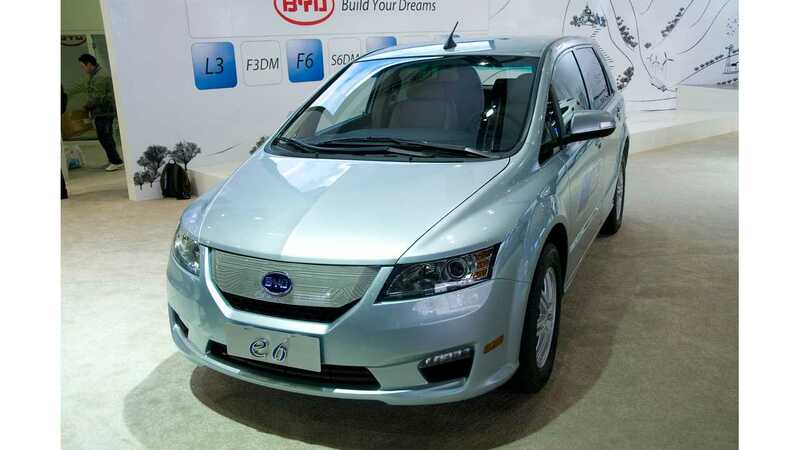 There were eight BYD plug-in cars on display, including a few debuts. 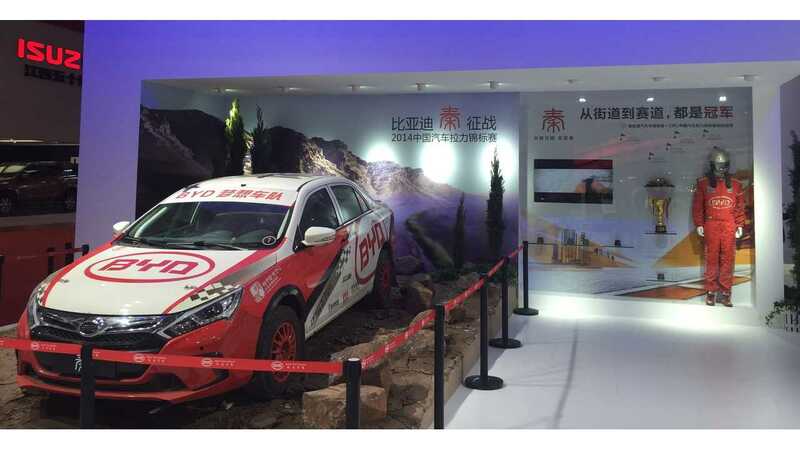 And besides a few stock photos from the event, we were also lucky to get a few exclusive shots of the cars direct from BYD! 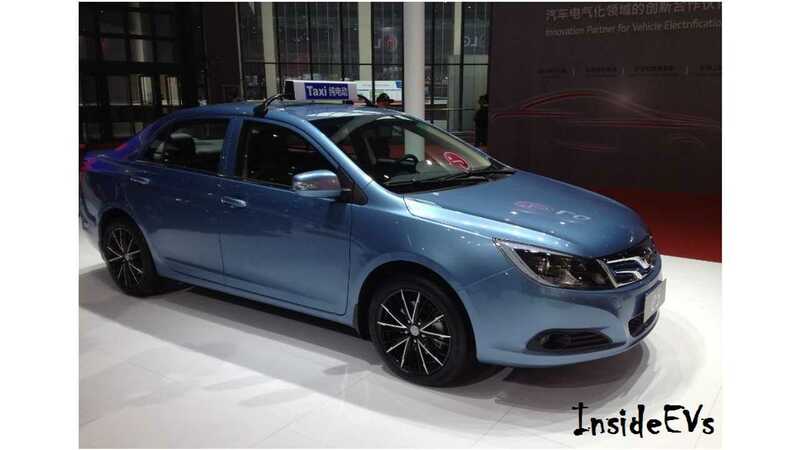 "This week marked the kick-off of China's Annual International Auto Show & Convention, Auto China. 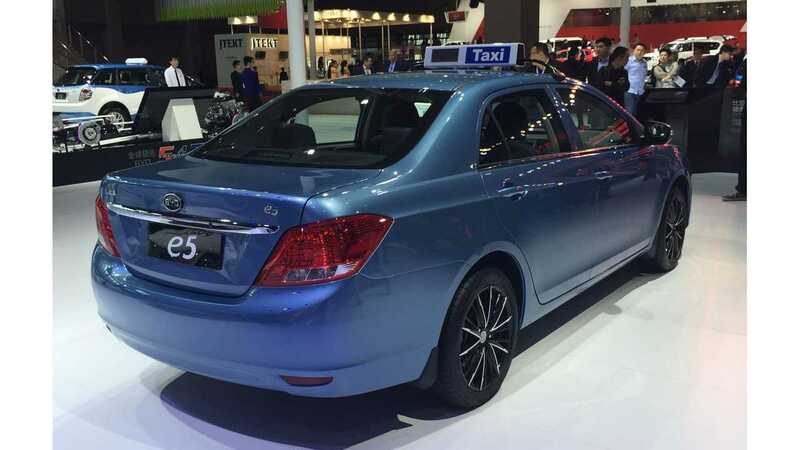 BYD China's largest independent auto manufacturer impressed members of the media and industry alike by, for the first time, only displaying Electrified Vehicles in their entire line-up of 8 vehicles at the BYD Exhibit (5 dual-mode vehicles and 3 pure-electrics). 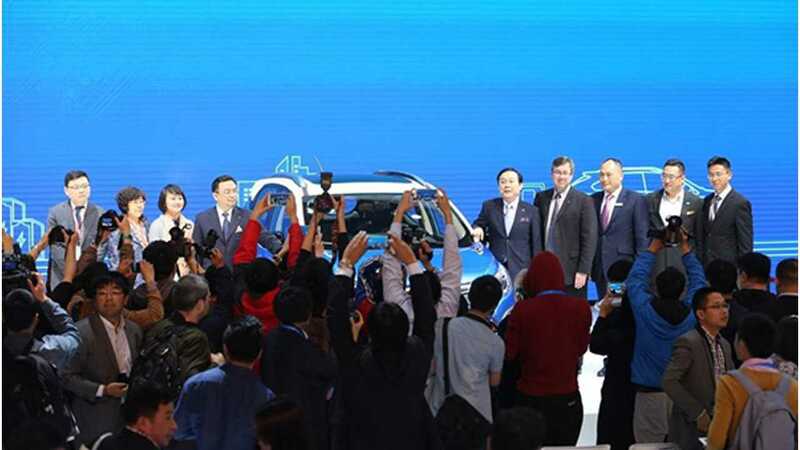 Though not many were surprised that the green-tech giant was the first to make such a leap, as they have long been referred to as "China's Electric Car Company", the crowd was thrilled to see a Tier 1 auto company take this important step towards the future of zero-emission transportation solutions." 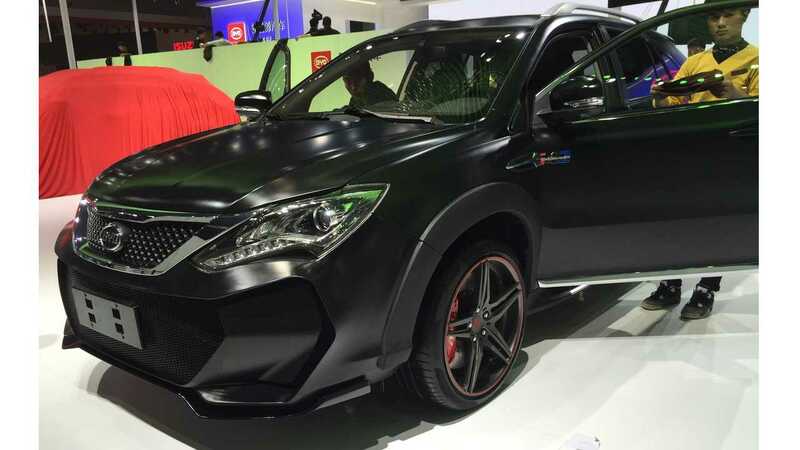 "-- Acceleration from 0-100Km/h in less than 5 seconds. -- and finally a vehicle that consumes less than 2 liters of fuel per 100 kilometers." 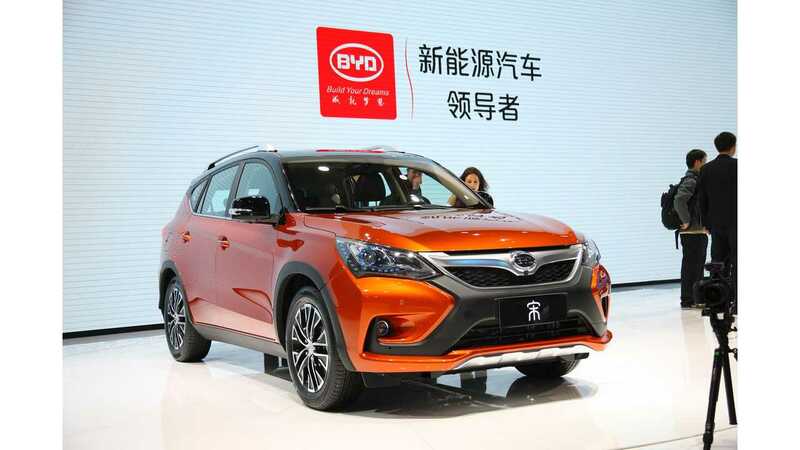 BYD Song is a compact SUV, while Yuan is a micro SUV. Both seem to be near ready for market launch. 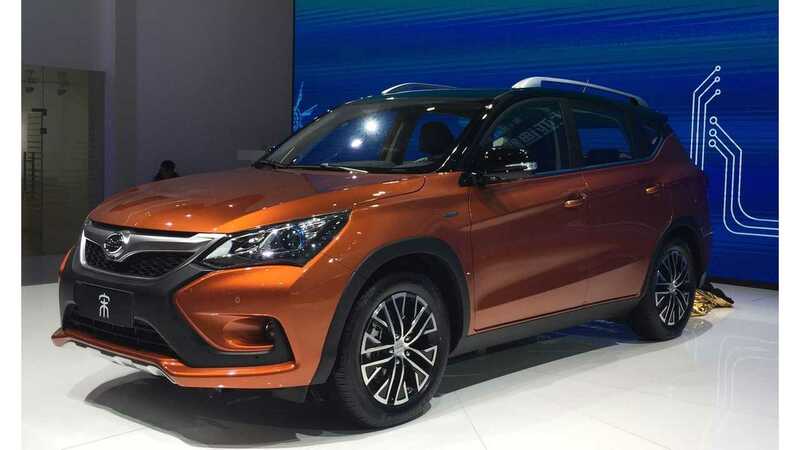 "Song is a compact SUV named after the Song Dynasty (in which China found its unity and prospered to be the wealthiest nation on earth at that time)." 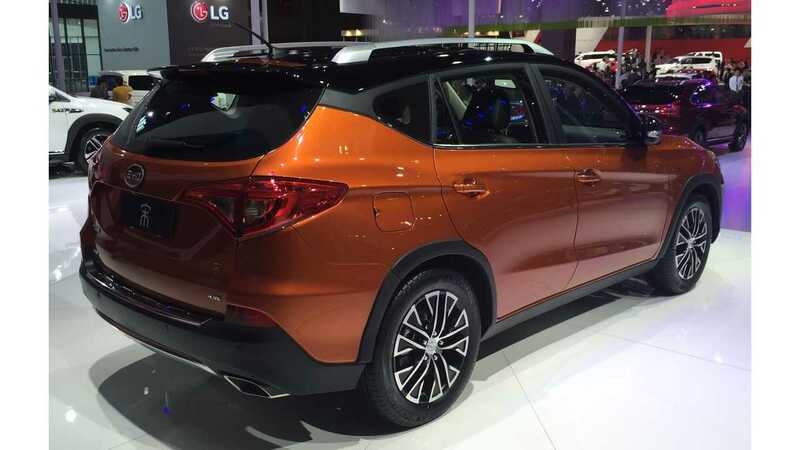 "Yuan, a micro SUV named after the shortest, but most powerful Chinese dynasty – the Yuan Dynasty. 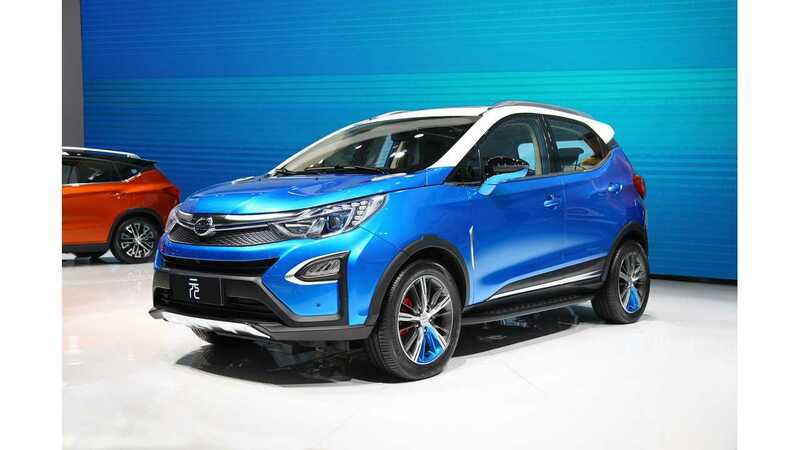 Yuan is the third sports utility in BYD’s 5-4-2 lineup and will become the most powerful Micro SUV on the planet, accelerating from 0-100 km/h in 4.9 seconds when it is launched in later 2015." 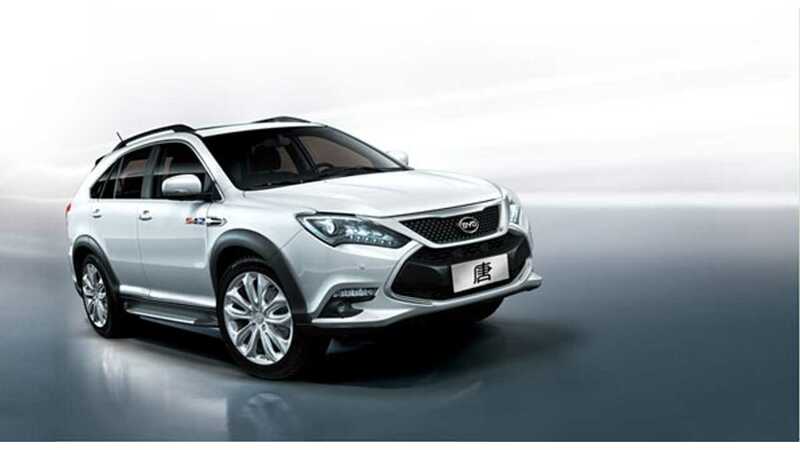 The fourth plug-in hybrid displayed is BYD Qin - already the best selling plug-in car in China, and another new model the Shang. 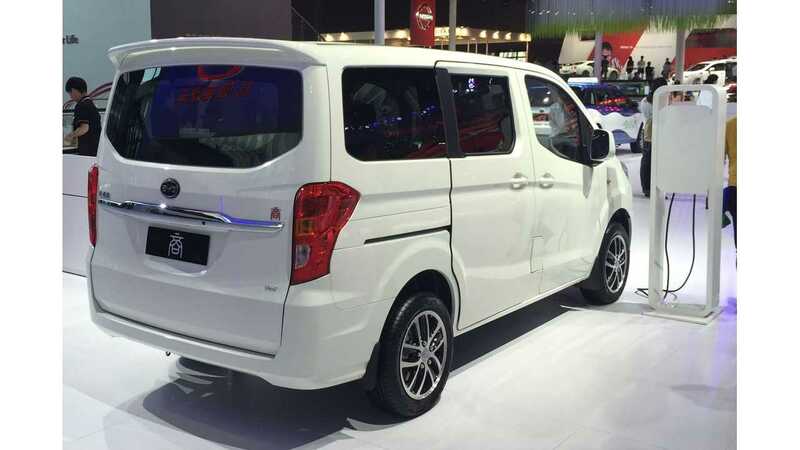 Shang is a van with BYD's 2nd generation Dual Mode PHEV drivetrain, which we believe means separate propulsion EV/ICE for the axles. 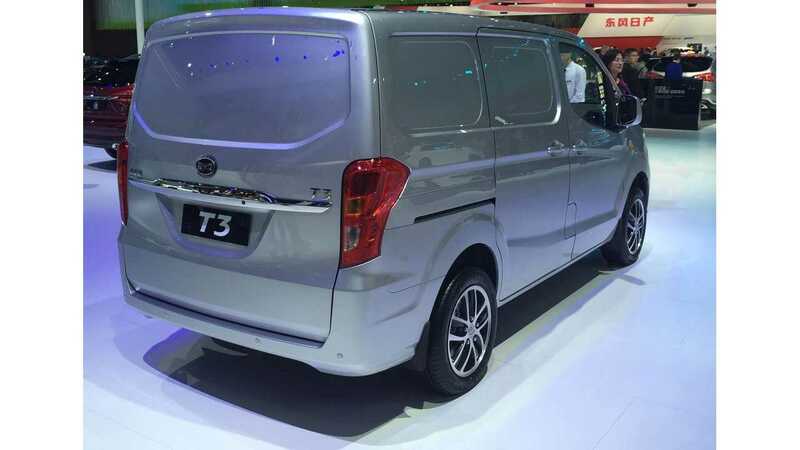 "the first of BYD’s 2nd generation Dual Mode PHEV “Dynasty Cars” and Shang, a plug-in hybrid van (the eTruck version of Shang on display was badged T3)." 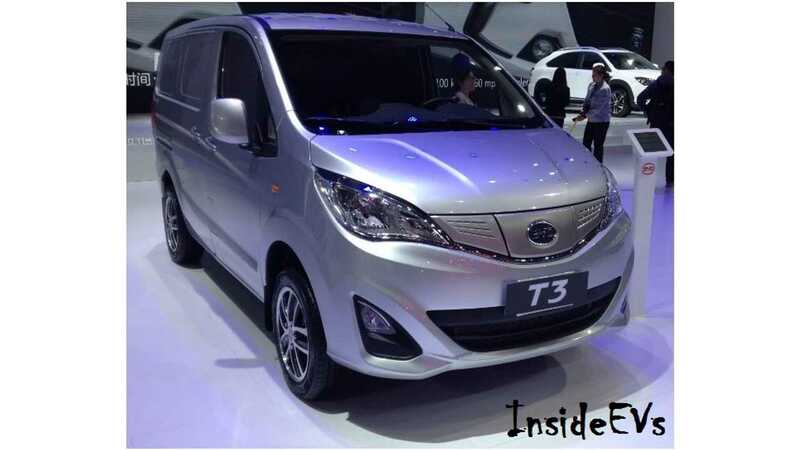 Shang drivetrain without ICE becomes a pure electric and such a car will be available as the T3 all-electric truck. 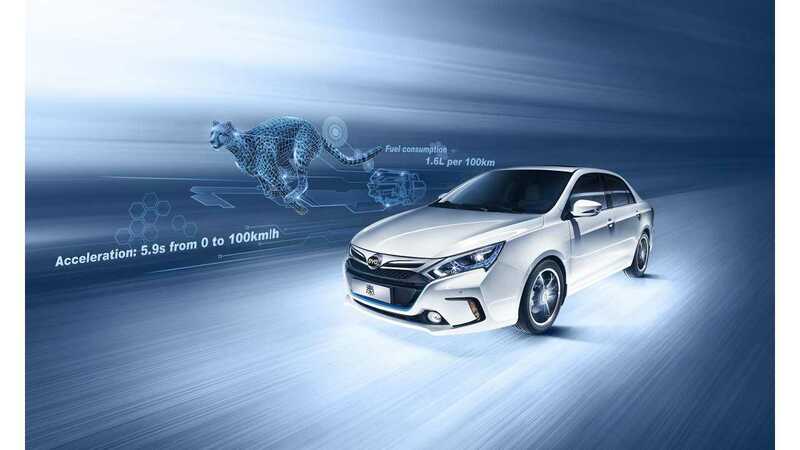 As we already know, BYD believes that plug-in hybrids will be sold to consumers, while electric cars are perfect for fleets. 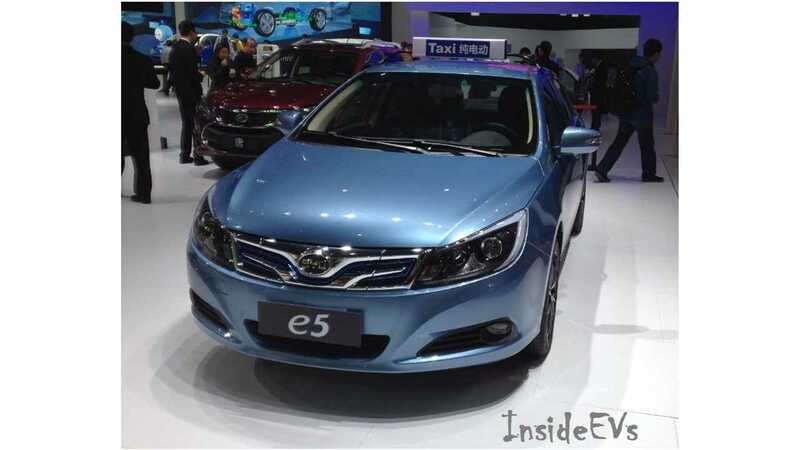 Good old e6 was presented on the stage together with the new e5 all-electric sedan. 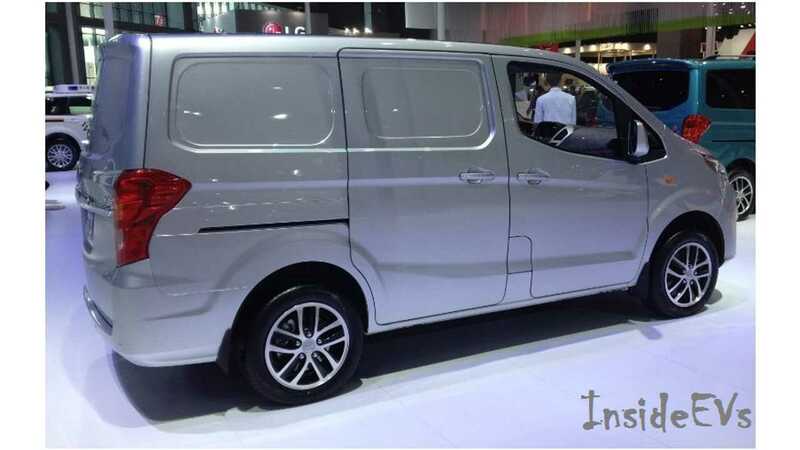 "For pure electric offerings, BYD displayed three battery electrics: the e6, a crossover utility vehicle, e5 a pure electric compact sedan and T3 a pure electric minivan." It's expected that e5 will serve as taxi. 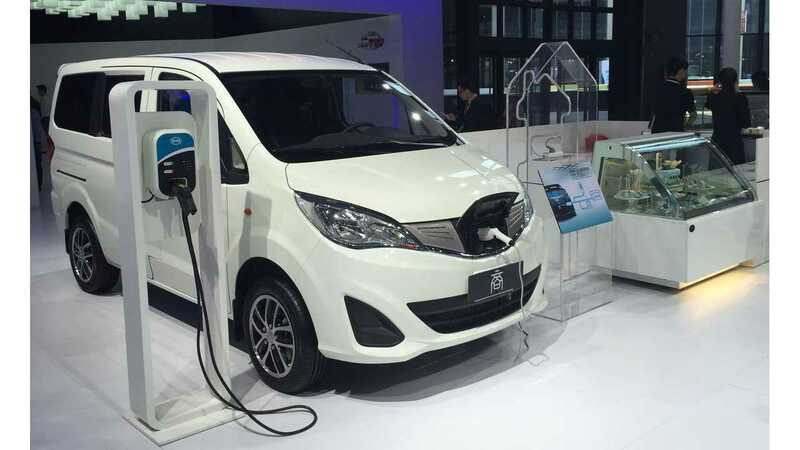 "In addition to discussing his consumer vehicle strategy, BYD Founder & Chairman Wang Chuanfu revealed BYD’s new industrial and consumer vehicle electrification strategy called 7+4. 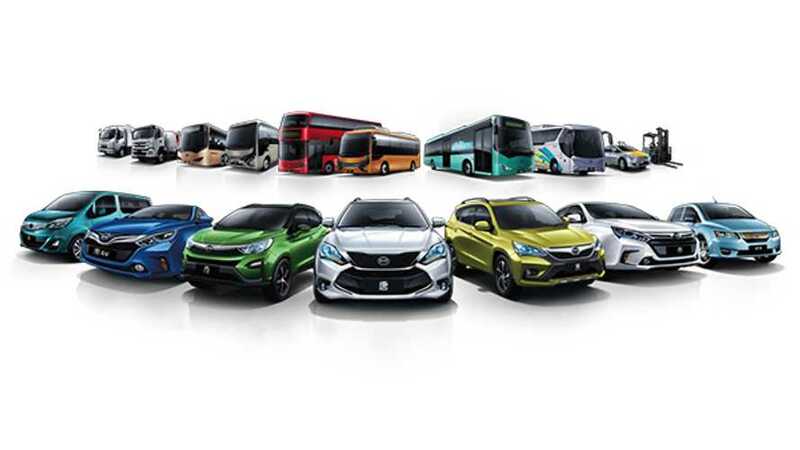 7 stands for the 7 conventional vehicle fields BYD will focus on: Transit Buses, Coach Buses, Taxis, Logistics Vehicles, Construction Vehicles, Waste Management Vehicles and of course, Consumer Vehicles. Warehouse Logistics Vehicles, Mining Utility Vehicles, Airport Utility Vehicles and Sea-port Utility Vehicles"